The first couple minutes of the opening cut “Phase Transitions,” with its beautiful spacy piano foundation and soft sax blowing over the top might take the listener back to the tranquil world of 80s new-age music, but all that changes after drums, bass and guitars come in all at once, twisting it into a shifting tempo psychedelic jazz epic where the focus wanders from player to player as this loosely composed improv proceeds through its heavily effected and often experimental fifteen minute duration, at its end emerging not too far from where it began. 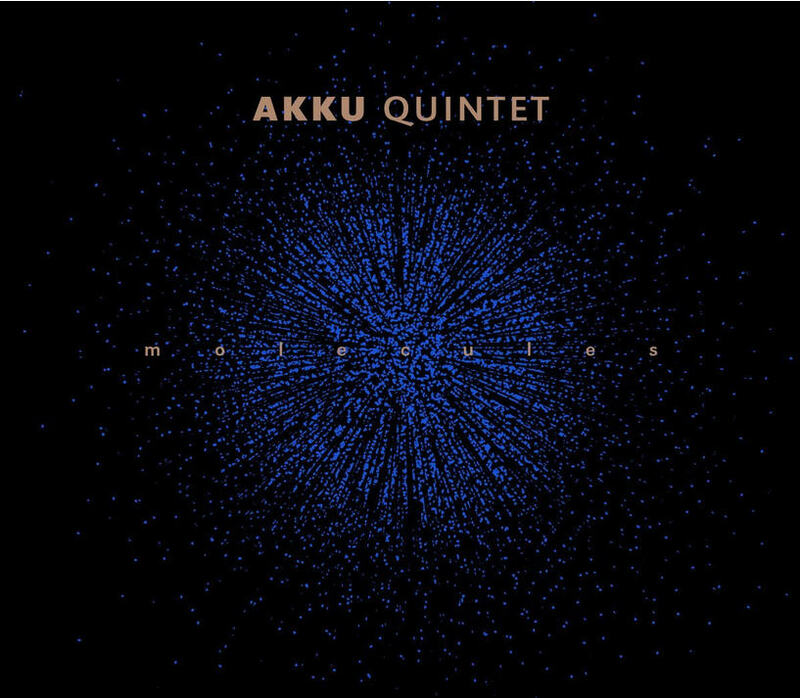 This is Akku Quintet’s second full-length release, led by drummer and composer Manuel Pasquinelli, and the follow-on to their excellent 2013 release Stages of Sleep. Again, as before, the group makes outstanding use of evolving patterns and textures, interwoven into spirited and hypnotic melodic panoramas, although this time out their approach is a bit less tranquil and more energetically focused. There are those dreamy moments as before, but they are pulled into a tighter group synergism, interleaved with points of elevated intensity. Incoming bassist Andi Schnellmann fits flawlessly into the group’s fabric, where pianist/keyboardist Maja Nydegger and sax player Thierry Lüthy play a major component in the overall melodic coloration, and guitarist Markus Ischer plays his part as the group’s experimental advocate, while Pasquinelly ties everything together from behind the drum kit. All taken, Molecules is a major step forward for Akku Quintet.